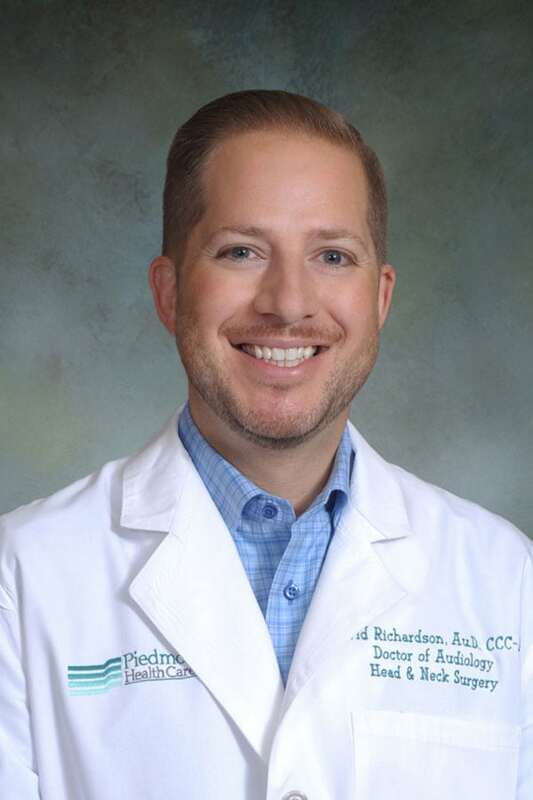 Dr. Richardson has been providing full time Audiology services for Piedmont HealthCare since 2002. He specializes in the evaluation and management of auditory and vestibular related disorders from pediatric to geriatric. Dr. Richardson has a special interest in auditory rehabilitation through hearing aid fitting and programming. Currently, Dr. Richardson is the only Audiologist in the Statesville area performing Electronystagmography (ENG), an exam of vestibular function for patients with complaints of vertigo or unspecified dizziness. He has a full range of diagnostic equipment to evaluate the auditory system in infants through adults. Dr. Richardson is an active member of the American Speech-Language-Hearing Association and the American Academy of Audiology.